Sometimes with all good intentions, we think we are hearing and communicating correctly. But if you have a mind like mine – you may be missing things and actually skipping ahead. This happened the other day. I was sure that Greg had said something. My car had a flashing “check engine light” all the way to church. He had preceded me to church to play drums for the youth, taking part in the services. I got to church and found Greg to tell him about the flashing light. A solid “check engine light” is nothing new to this car. There are things that eventually need to be fixed and we’ve done everything we can – or I should say everything we want to spend money on. But this flashing light was something new. As I finished letting Greg know – I was sure that he said, “I’ll need to call Steve about that and during the message I can go out and take a look – it’s the only time I have to do that”. He started to walk back up to the drums and I asked, “do you have your keys to the car”? He looked at me blankly for a moment and then said rather cautiously, “yes” – with a sidelong glance. For a second I wondered why. Greg never carries more keys on his person than he has to. He usually never has my car keys because he has his truck keys. But since retiring from a night window washing job he had been able to lighten up the load of keys he was carrying around for that job. Maybe, I thought – he has permanently put my keys on his truck ring. I guess that’s it, I reasoned. The song service and special youth numbers came to a close and it was the time right before the message. Greg came down from the platform and placed his phone and other papers beside me and said, “I’ll be right back”. I thought, “good – he’s going to look at that light and make sure the car isn’t going to blow up while I’m driving home!” In about 5 minutes he was back – sneaking in during the prayer time. I whispered, “is everything okay? ?” He didn’t answer. I said again, “is it okay? ?” He looked at me puzzled – as if he didn’t hear me and said, “what?” I whispered directly in his ear, “the car – is it okay? ?” He answered, “I don’t know I didn’t look – I went to the bathroom.” “But didn’t you say you were going to look at the car during the message?” “No”. It was a most frustrating but amusing moment. I had evidently skipped ahead to another whole chapter – maybe even two or three! When Greg joined me at home later that morning we had a fun time trying to figure out just what he had meant. He had absolutely no recollection of saying what he did! 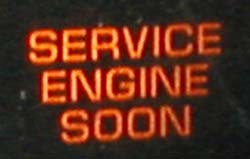 Nothing about checking the engine during the message – nothing!! You can imagine how we laughed when he thought I was asking him how he did in the bathroom! And why was I asking if he had the keys to the car! Funny – good times! I was pondering this funny moment since it happened on Mother’s Day. How many times do I skip ahead feeling justified to ask for answers, demand results and more often than I want to admit – am impatient with those not on our same page? More than once – I can assure you. I hear and fill in those empty spaces with things I want – or that sound logical to me, forgetting that not everyone thinks like me. This happens too often and reminds me that I must slow down – not only my words – but also my thought process. Slowing down is hard for me. My body may not always cooperate but my mind has always been quick. I have always been a step or two ahead. I am a planner. I like to have things organized – especially in my thinking. In this way I can feel in control. But what does God require of me? There it is. Be still. What does that mean? To be still is to be quiet in my mind. Meditate on God’s love and peace breathed in my life. Nothing else. No agenda, no planning, no anticipating. No skipping ahead. This is a daily discipline for me. To slow down. Take one day as it comes with all its wonders and discoveries. To ponder. To relish, reflect and to be still. My prayer for you today is that you too will slow down. You will appreciate the little things. Take time to stop and ponder. Really listen. Stop planning three steps ahead. To be still. 1. Let go of the past – It does NOT define me – there’s so much in the present to be thankful for and concentrate on. This includes people and circumstances I can’t change. 2. Friendships cannot be forced – if you have to try to convince someone they should be your friend – or continually be the only one reaching out – then these people are not your friends – pray for them – but let them go. True friendship should not be hard work – it is a meeting of the minds and a ‘heart’ connection. Comfortable like an old pair of slippers. 3. Surprises in life happen when and where you least expect them – my husband and I started attending a ‘church plant’ of about 50 members last fall and have found ourselves in a new season with new ministry opportunities – and new relationships – something we never thought would happen. 4. Making a stand for things that are right can make you very unpopular with friends and family – but we do it anyway. 5. Sometimes painful things can resurface – it’s okay to cry, hit something (or someone) jump up and down or SCREAM!! Just don’t stay there long. Get up and don’t allow yourself or others to do that to you again. Ever. 6. Make your relationships a high priority – marriage can be hard work – but it’s worth fighting for. Don’t allow it to become stale and boring. DO SOMETHING ABOUT IT!! Fall in love with your spouse all over again – it can be done – just ask me!! 7 . Find an outlet for your creativity – I’m a musician first – a writer second. I know that I have to do both of these activities in order to feel healthy and ‘get it out’. Find something you are passionate about and DO IT. 8. Invest in people – even if you have been burned by doing this in the past – by even one other person – don’t give up on investing in them. We need other people and they NEED us! 9. Give advice only when it is asked – and even if it is asked – keep it short and to the point with A LOT of love and graciousness. 10. Treat others like you would like to be treated – It sounds good on paper but it does not always translate well when applying it to those in your life. Always say to yourself, ‘would I like to be on the receiving end of this email, phone call or conversation?’ If not – then don’t write or say it. This is just a glimpse into some of the things I learned this past year as I continue on my journey. I hope you are doing the same! There’s an elephant in the room. No one talks about it. No one dares. This poor ignored elephant – one that used to be rather small – but because everybody refuses to acknowledge her presence – she has become rather LARGE! You see – she has an inferiority complex. A Big one. And she drowns her sorrow and disappointment in eating anything she can get her hands on. And because people would rather walk around her – even tiptoe lightly – she has to try to stay invisible in the center of the room – and not trip anybody up. Oh she has tried to get everyone’s attention at times. She even tries different colors to wear so she’ll stick out more and be noticed. I’ve even seen her painting her toe nails red – and then waving her hands and feet wildly in the air – but to no avail. She even waved and winked at me one time too – I’m sure of it. I just shook my head and smiled. I mean – really – what else could I do? She’s an elephant. I’m waiting for the day – when someone can’t take it anymore and jumps up and says, “Hey!!! There’s a LARGE elephant in here! Do you see her?” But until that day…. 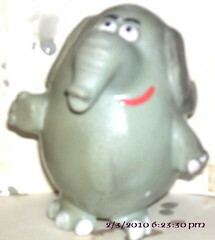 No one likes an elephant – especially a LARGE one with brightly colored clothes and painted red toenails, Right? This elephant could change everything forever. And no one will speak up. No one will take the risk. Better to ignore and pretend…. Today I was reading an article on relationships written by former student, Thomas Reinhard. Finally, a young person who really GETS IT!! I’m always happy to discover that good relationships – and unfortunately bad ones – are not gender sensitive – nor do they have time restraints and age requirements. It seems to have very little to do with how long a person has been around – or has ‘matured’ – and sometimes has very little to do with a person’s upbringing and role-modeling. It is something more. It takes effort and energy to treat people right. The verse in scripture about loving God and loving your neighbor as yourself – seems so simple, right? But at times it is not. It takes massive amounts of time and energy to do the thing right. Loving God seems simple. But when I know the heart of God – I realize there is nothing simple about this. He demands all of me – all the time. Heart, mind and spirit – that’s all of me. This takes effort and concentration to do this – to be in prayer and constant communication with Him. He is relational. He wants our time – He wants all of us. On the other hand – He is also a gentleman who will not force us to spend time with Him. He will wait for us to get it right – and be silent while we go off pursuing the things we pursue. It is easy to ignore and go our way – pushing Him to the side – because He will wait for us – as long as it takes. People in our lives are not so patient. Ever try having a friendship with someone who doesn’t want one with you? It’s a near impossible task. And those that do – it requires our time and energy. When we invest time and energy in developing a relationship with others – there is an unspoken expectation that they will do the same for us. Friendship at its very best – when working right – is reciprocal. I wrote an article about this a few weeks back – and it had some interesting comments from those – who get this and understand it. There are so many people who are hurt from those they felt they actually did at one time have that kind of reciprocal relationship – only to find out after time or circumstances – that they did not. For me my relationships are a central part of my life – my relationship with God – and then the many others that circle around my life – encouraging me and being a part of my daily life – respecting me as a person and loving me just as I am. The best relationships for me allow me this freedom of being me – they are always around – they do not pick at me for the way I am – or wonder at my presence or motives – and I do not question their motives or presence in my life. I do not have to wonder where they are – or why they do the things they do – why they are there one minute – and then gone the next. A true friend stays – and you do not have to wonder where they are. If you have to make excuses for behavior – it is not reciprocal – it’s wishful thinking. Before you have this kind of relationship – whether it’s with men or woman – you have to ask yourself this question: Can I accept the bad with the good? No one is perfect – and most of us are capable of many mistakes when it comes to friendship. 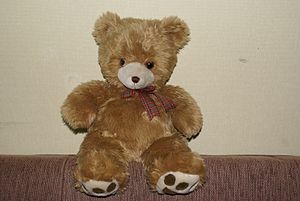 But sometimes we expect too much from a friend – and when they are unable to deliver we are disillusioned and depressed. Some people simply do not handle stress or process situations in their lives in the same way as we do. And growing and learning is a part of the journey. There are four basic personality types – I know and have observed these different personalities all my life – and have friendships with all four of these types of people. It is important to understand how people think and process – and to know how your friends think – so you can understand their actions – and love them better. I am a combination of a couple of these – and most people do not fall into just one category – which ones are you? The ‘Melancholy’ tends to feel everything very deeply. Usually an introvert – but not always. They are sensitive and usually have a wide and wonderful gift of humor that is unique to them. The ‘highs’ tend to be very high – the ‘lows’ very low – and no one can be in a ‘hole’ longer and deeper than the melancholy. I have many friends that fall into this category – and they are the most wonderful friends in the world – they feel with you – they understand and communicate in a way no one else can – and they are deeply sensitive and complicated. But in this complicated deep sensitivity they can also seem distant and removed – when encountering too much stress and personal stimulation. It is best to back away and give them time to recover – to leave them alone and let them process. A true friend of the melancholy understands this – but it can be a little frustrating. A true melancholy wants people in their life to understand them – the biggest fear is that no one will. The “Choleric” person is pretty black and white – in every area of life – and especially regarding relationships. Usually an extrovert – but not always. They have a few close friends and tend to be suspicious of everyone else that comes into their world. They are the natural-born ‘leaders’ and most pastors and speakers are ‘Choleric’ – because they can wade through the emotions and pull things and people together sometimes without regard to people and their feelings – but at least the job gets done! They are extremely witty and can articulate beautifully! I have a few friends that fall into this area – and can truly say that when you gain the trust and relationship of a ‘Choleric’ – you have a friend for life – they are very loyal. They are also great at giving advice and counsel because they can see things in a very unique way and have a true and trusted track record. Their biggest fear is being taken advantage of – so you need to make very sure that when you begin a friendship with them that it is not misinterpreted. The “Phlegmatic” is the easy-going person – who does not prefer to be in the spot light – but likes to work alone and let others be up in front of people. Usually an introvert – but not always. This person can be the little ‘worker bee’ behind the scenes – does not like confrontations or disagreements – and will generally be very pleasant – if not shy and a little backward in social settings. I have a few of these friends and they are wonderful people – gracious and unassuming. This is the most subtle of the personalities and can easily be ignored or forgotten – and they will not generally ‘rock the boat’ for attention – or to be noticed. These people are also very loyal to their friendships – although they are picky about their relationships as they tend to be hurt a lot. And you must earn trust with them. The biggest fear: someone will hurt me again. I will be alone. The “Sanguine‘ personality is usually very comfortable in a crowd – and can be the ‘life of the party’ because they are easy with people and usually very witty. Usually an extrovert – but not always – the sanguine has a unique way of viewing life. This personality has the ability to see everything and everybody as good, honest, kind and respectable. Even when they are not. This personality is usually the performer, artist, musician or teacher – because they are good with people. They tend to be very even in temperament – and are ‘people magnets’ because of their ability to accept and embrace others without question. This naivety can also get the sanguine into trouble – but they still believe the best in people. The ‘melancholy’ personality loves the sanguine because they feel better about themselves when they are with this sunny disposition – and they draw strength and encouragement from this approach to life. The sanguine LOVES a project – and loves to ‘fix’ or help people. If the relationships aren’t right in the sanguine’s world – nothing is right. They are also very sensitive and take things very personally when something happens in the relationship – or there’s a lack of communication or understanding. Biggest fear: Being misunderstood. Years ago I remember a friend and fellow colleague (a phlegmatic) needed to address her boss (a choleric) and she was give the advice – “walk around in that personality and approach it like you know they would” So she did! And she had amazing results – talking straight – talking black and white with no innuendos or subtle suggestions – the language that the choleric could really understand – and she won him over! I believe that if we also take this advice and know how to respond in our relationships to each other – based on what they can hear and understand – we will have better long-lasting friendships and relationships in our lives. The next time you don’t understand something – try looking at what their main personality looks like and walk around in their shoes. Try it! You’ll see results! And you will understand them better in the end.